Do you need to paint your home, clean the gutter, repair the sink, install new furniture in your office, redecorate your place and many more that you may have been putting off? Is the thought that you lack the time to do these trivial but vital things killing you? At Handyman Services in DC, we provide a wide range of handyman and property maintenance services as well as large renovations and help you to improve the overall appearance and functionality of your home and office in no time! From painting to repair and maintenance in DC, from flooring to window trims, you name it and we deliver it, with utmost care and perfection. At Handyman Services in DC, we understand that there is always something around the house that needs to be fixed immediately and you simply don't have enough time to deal with it, which is the reason why our highly-skilled and seasoned team leaves no stones unturned in terms of working with you and making sure that the outcome is in amazing detail and quality. Committed to serving homeowners with friendly, reliable and most of all affordable services, we have earned a reputation in the home repair and maintenance business as professional and dependable. Not to mention the fact that, we are fully licensed and have strong ethics and service standards. Weaving innovation and cutting-edge equipment with time-tested methodology, we will walk you through the entire process and will settle for nothing less than your utmost satisfaction. At Handyman Services in DC, our strong commitment to providing the very best customer service and quality is the reason why we have achieved an unbeatable track record for exceeding the expectations of our residential as well as commercial clients. Whether you are looking to repair the exterior of your house or to improve its interior, we have the equipment, manpower, skills and knowledge to ensure that the work we perform is done right the first time, every time. At Handyman Services in DC, our strong commitment to providing the very best customer service and quality is the reason why we have achieved an unbeatable. Does your house's interior need some repair or a few updates, but the scope of the task is beyond your time, skills and tools? With all you do to keep up with the maintenance of your home's interior, more often than not, the outside goes unnoticed. Have you planned of remodeling your kitchen, bathroom and basement to make it more suitable and fit to you and your family? Handyman Services in DC were nothing but great. From the start, I knew these guys were professionals, were experienced as well as punctual. Most importantly, they knew how to deliver what I want every time. Count on these guys if you need handyman services and you won't be disappointed! Outstanding job by an outstanding handyman company. On time, neat and clean. My home looks like a new one. I'll definitely be calling them again for any future projects. Handyman Services in DC do a great job! Affordable price, work was done quickly, looks amazing and everything was cleaned up afterward. Could not be happier. Will certainly use again for other projects. My experience with Handyman Services in DC was nothing less than stellar! The staff and crew were professional and reliable. You guys did a great job and I look forward to working with you again in the future. 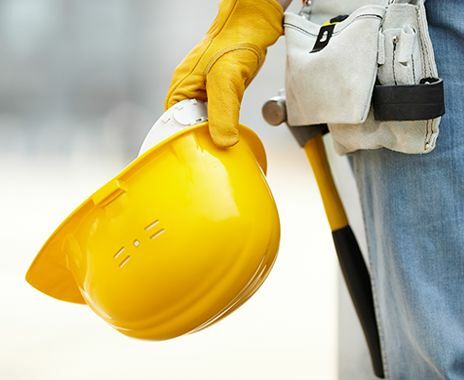 Handyman Services in DC, we provide a wide range of handyman and property maintenance services as well as large renovations and help you to improve the overall appearance and functionality of your home and office in no time. Copyright© handymanservicesindc.com 2017. All Right Reserved.